I am constantly inspired by watching Nature’s colors change from season to season – seeing the rich, warm autumn colors fading to myriad shades of grey when Fall begets Winter is a particular favorite. 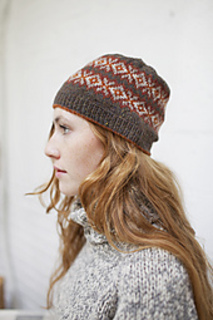 I designed this hat with these seasonal color schemes in mind – each “Season” quite different from the next. 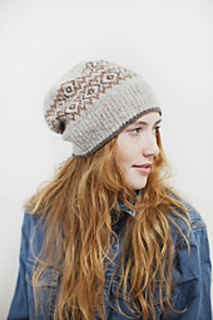 The design comes in 4 sizes/styles and 4 colorways, so many versions can be made from the same pattern. Alternatively, a 2-color version can be worked by subbing HC, CC2 and CC4 with a single color, and CC1 and CC3 with a second color. 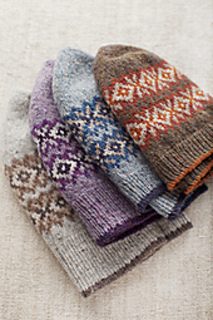 Options are endless – one of my favorite things about knitting!